Fungus is SOOOOO COOOOOL. 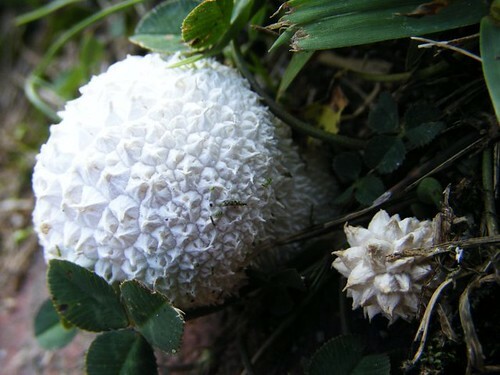 My first ever post for MCDP was a fungus, and I am always excited when I can use the “fungus” blog-tag. We’ve had a lot of rain lately, and there are mushrooms popping up like you wouldn’t believe. I’m sure this is a common kind of fungus, but I don’t know what it is. So. FIVE POINTS to whomever first correctly identifies this fungus. If you go to the Monmouth County Fair (which ended today, Sunday… actually yesterday, since the fair was cancelled today due to lots and lots of rain), be sure to watch BWANA JIM’S WILDLIFE SHOW! 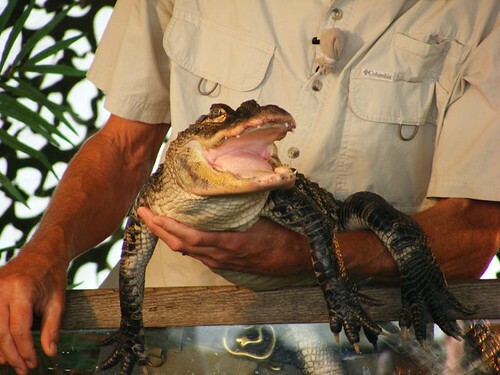 This, an 8-year-old alligator, is just one of the critters he was tossing around. Although this is a Monmouth County photoblog, I rarely feature the west side of the county. But for the MONMOUTH COUNTY FAIR, I think I’d better! The Monmouth County Fair (in Freehold) happens once a year in the summer for the better part of a week. 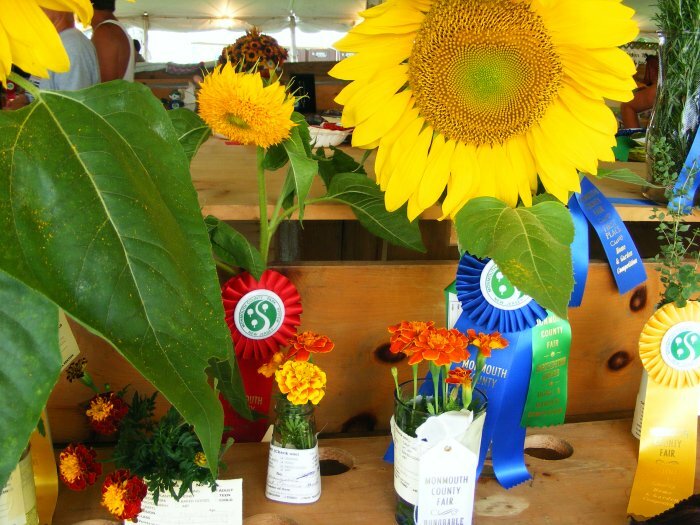 There are rides, 4H and “living history” exhibits, vendors, tents for associations across the county, pig races, lumberjack shows, and the Home and Garden tent. 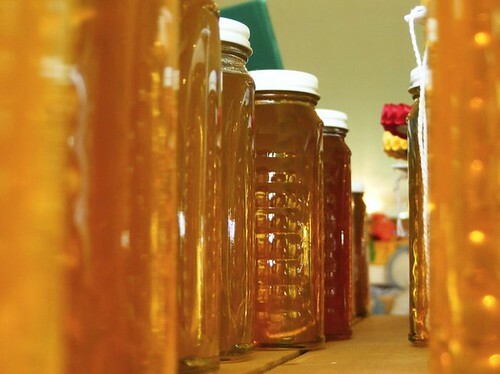 In the days leading up to the fair, people can enter their amateur H&G products (be they art, crafts, vegetables, flowers, or honey) for judging. 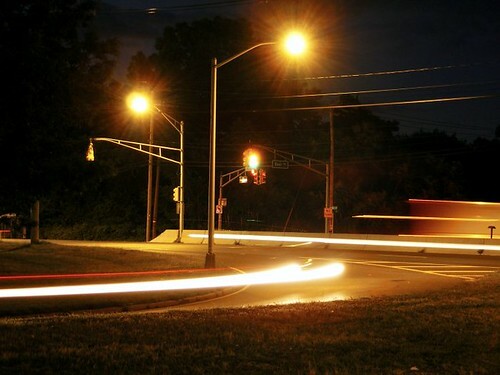 First of all, New Jersey is one of the primary homes to a traffic phenomenon known as the jughandle. 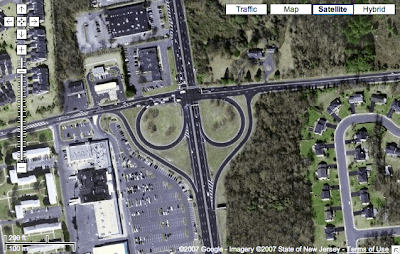 (They may call these “cloverleaf” intersections elsewhere, but we Jerseyans know better.) Because traffic engineers sometimes choose to utilize jughandles and sometimes DON’T, our traffic patterns make no sense. Take this particular intersection at Rt-35(N-S) and Deal Rd(E-W), for example. 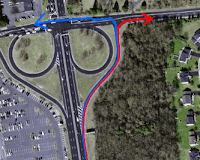 Note: in all figures, red = right turn, blue = left turn. 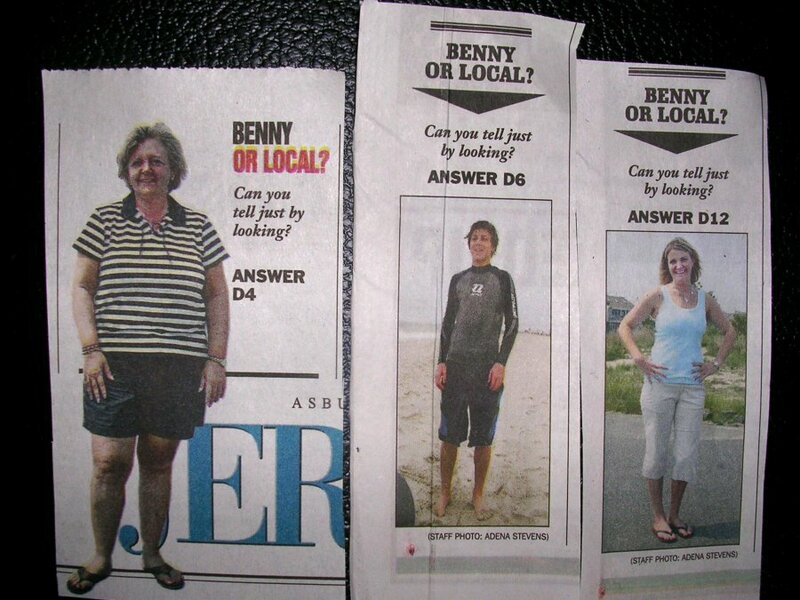 Locals are in the know about all these ridiculous patterns. 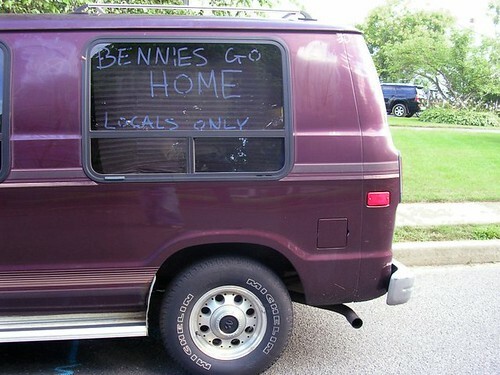 So the second reason for crazy Jersey traffic is because the Bennies can’t figure any of it out and SCREW EVERYTHING UP. 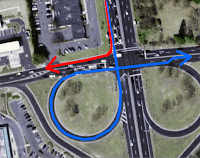 * If you’re heading east and you think you’ve maneuvered past the intersection without a problem… a couple hundred feet down the road at the next light, the right lane suddenly turns into a right-turn-only lane without any warning, which leads to a whole ‘nother set of traffic problems. 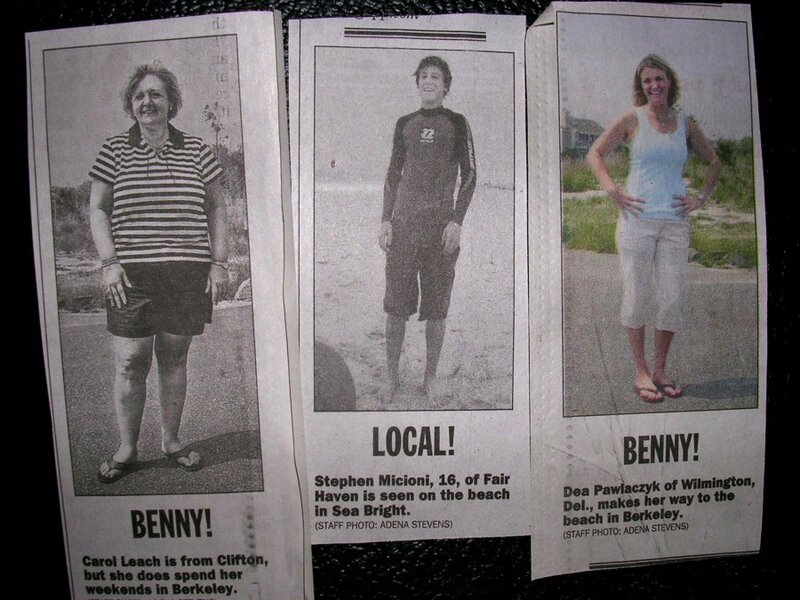 There has always been a certain amount of prejudice against bennies. Yes, they support the economy, but they’re annoying. Really, they’re just like the rest of us. 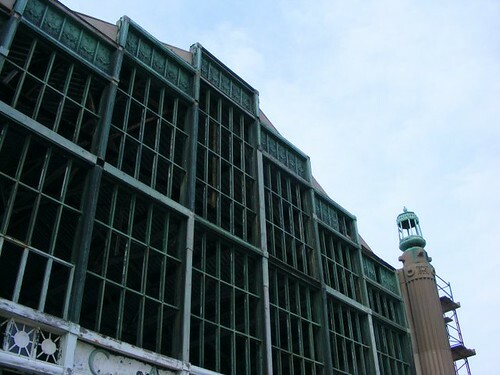 I took some photos of the Asbury Park Casino back in February. At this point, they’ve removed everything to the right of that big pillar with the lantern on top. These plans are posted on a plexiglass-protected board standing at the end of the Ocean Grove boardwalk (about 30-40 feet in front of the casino). Another small point of interest- when I originally photographed the casino in February, the entire structure was fenced off; the fence is now (mostly) gone, and the casino once again acts as a walk-between for the Ocean Grove and Asbury Park boardwalks. Apparently, not all things that look like “wild sweet peas” are wild sweet peas. 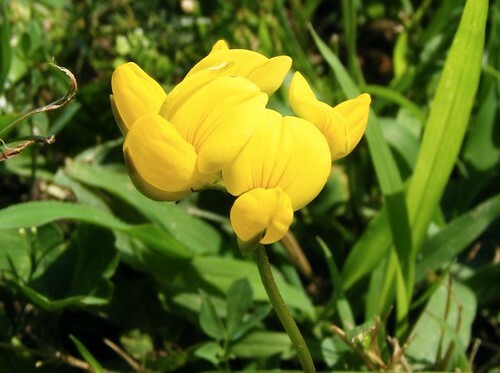 After doing some research, I’ve decided that this is actually a meadow vetchling. It’s pretty common- according to the guidebooks- but I’ve never seen one before.